Margarita from Santiago López Jover on Vimeo. These are some of the scenes that i developed for the beautiful shortfilm of Alex Cervantes, "Margarita", in Hampa Studio. 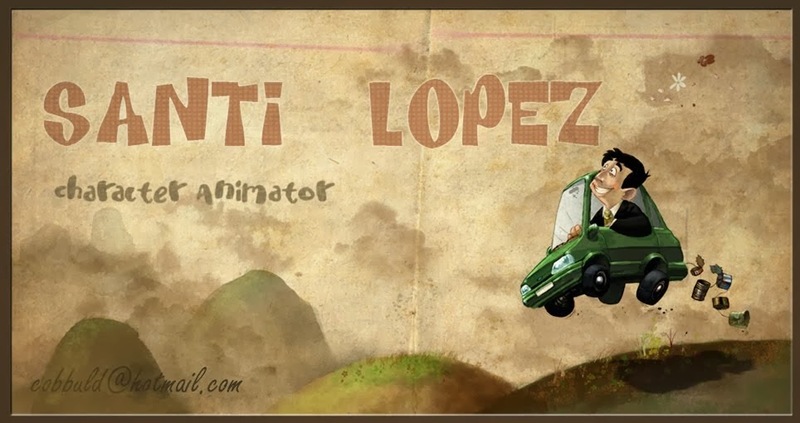 I was also the animation director, and we spent one year to develop all the project in a reduced team of animation artists, using the traditional way: pencils and papers (the colour was added in toon boom). We worked very hard, and i think we are quite happy with the film, which also won some good prizes and even was nominated to the Goya awards. The short is inspired in a famous Ruben Darío´s poem, that tells the story of a princess that tries to reach her dreams, catching a beautiful star in the sky.